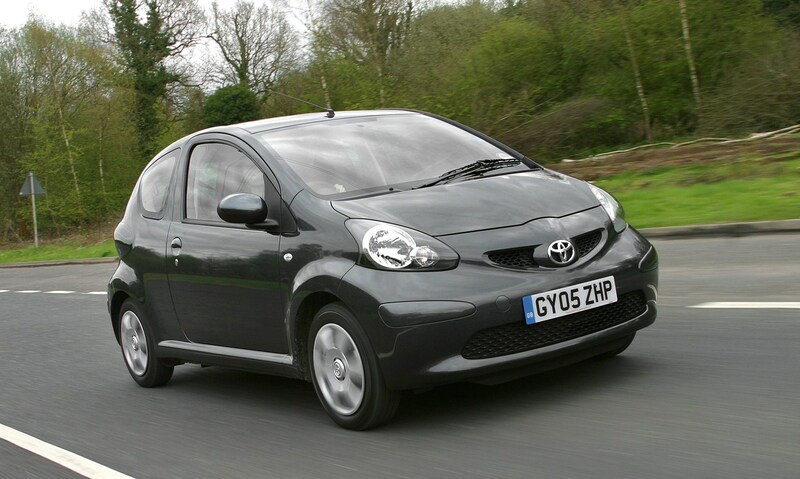 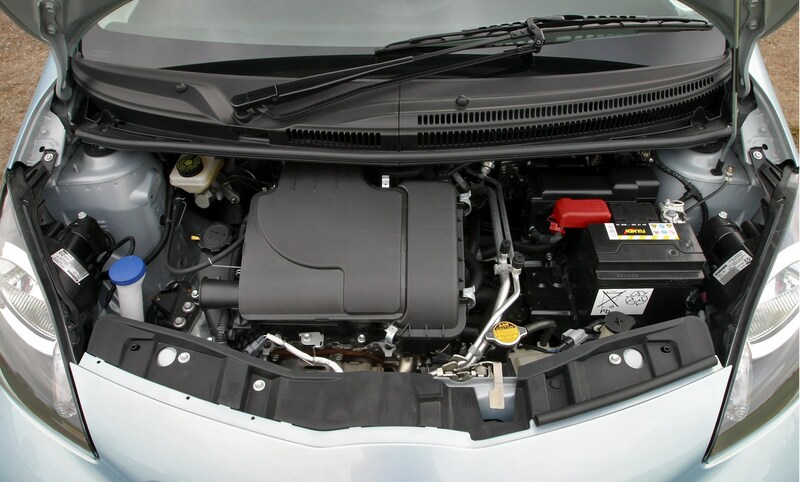 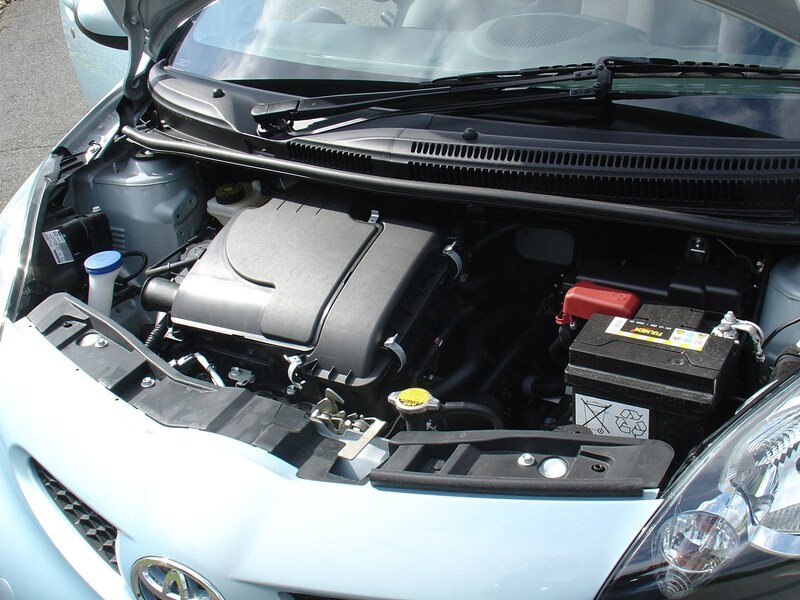 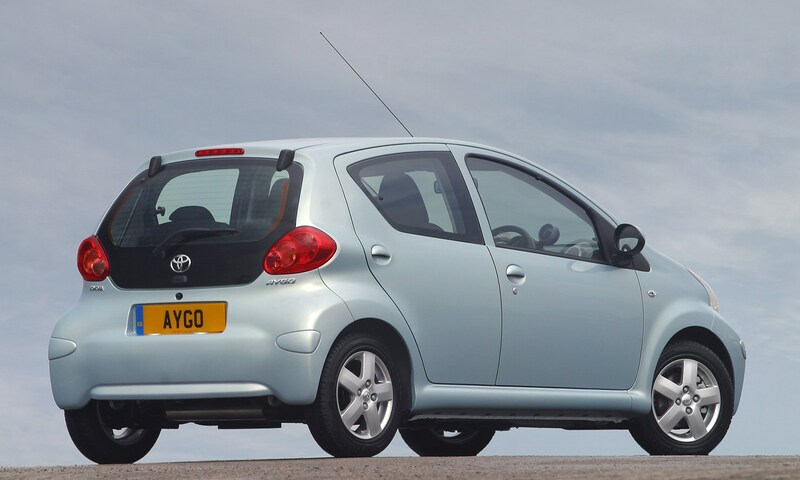 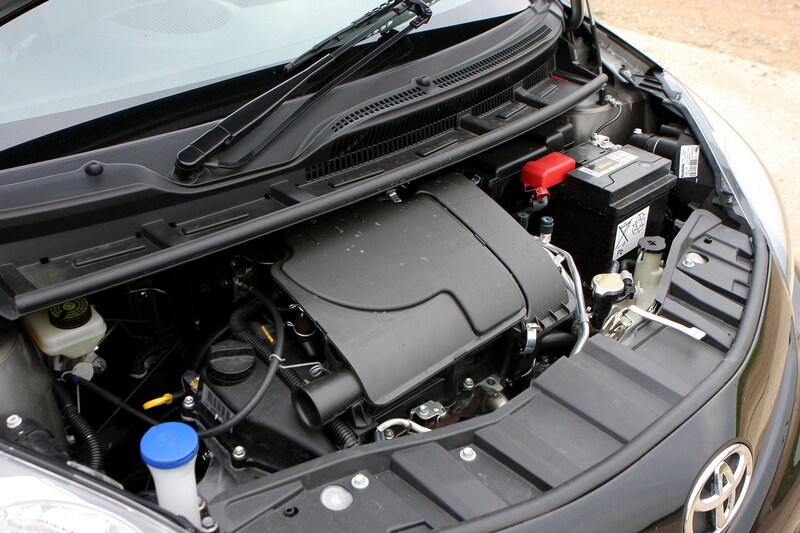 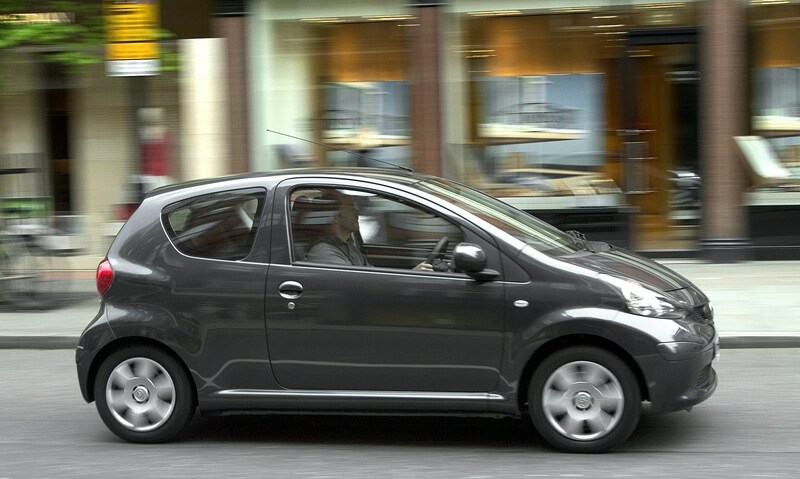 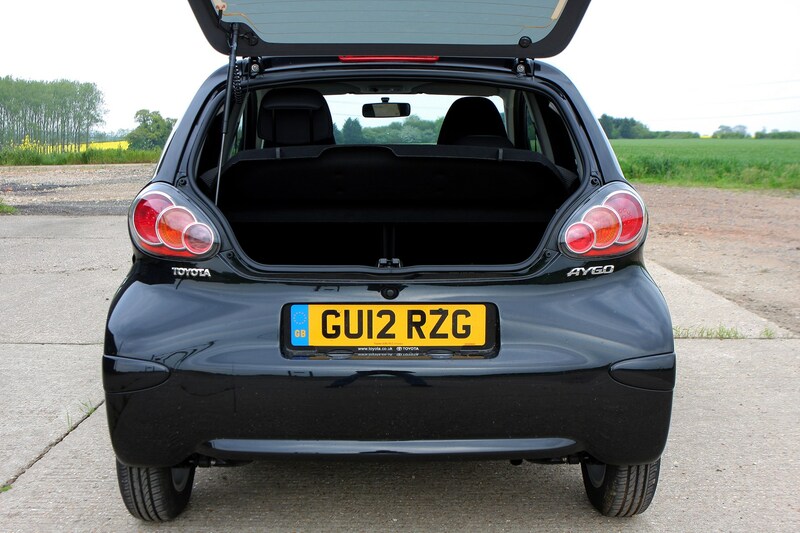 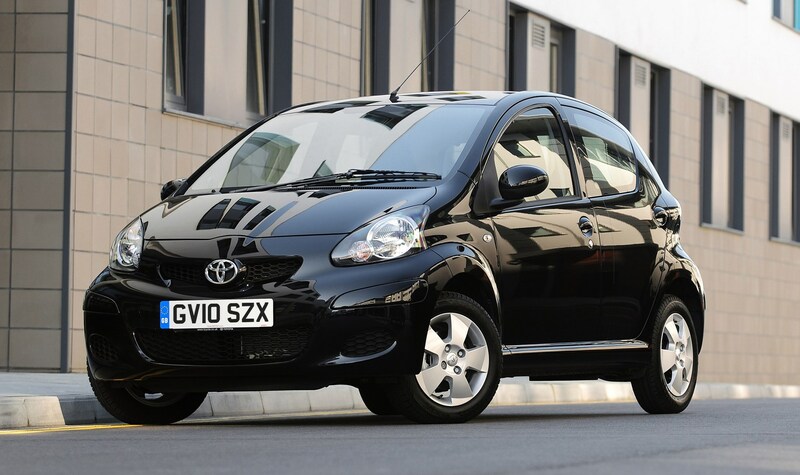 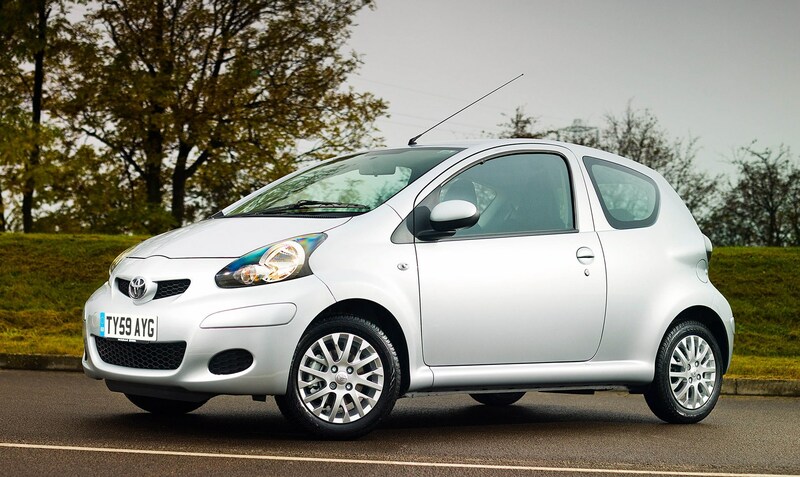 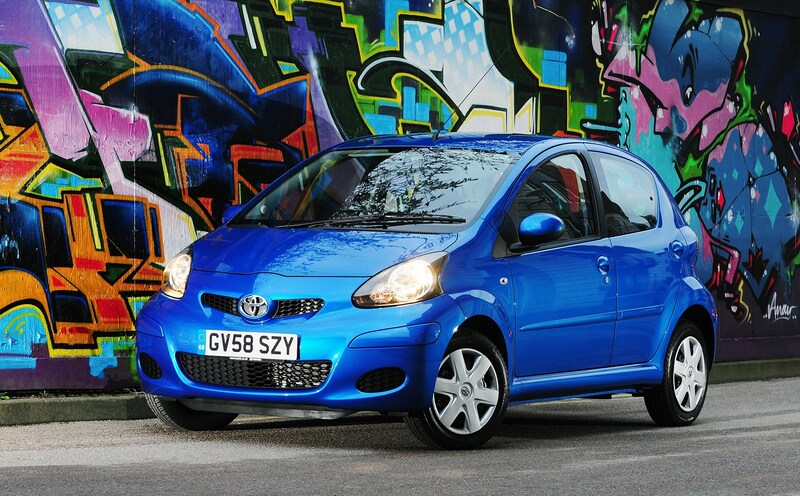 With Toyota doing away with the 1.4-litre turbodiesel that joined the Aygo range in 2006 due to poor sales, the 1.0-litre VVTi petrol engine is the only motor offered. 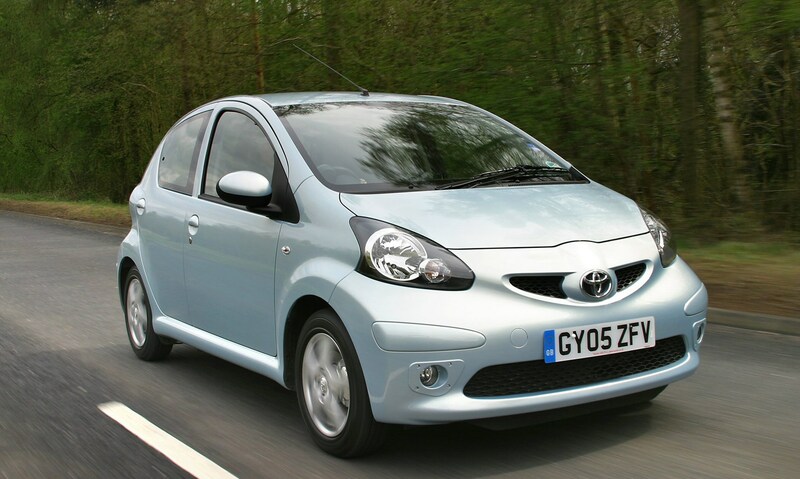 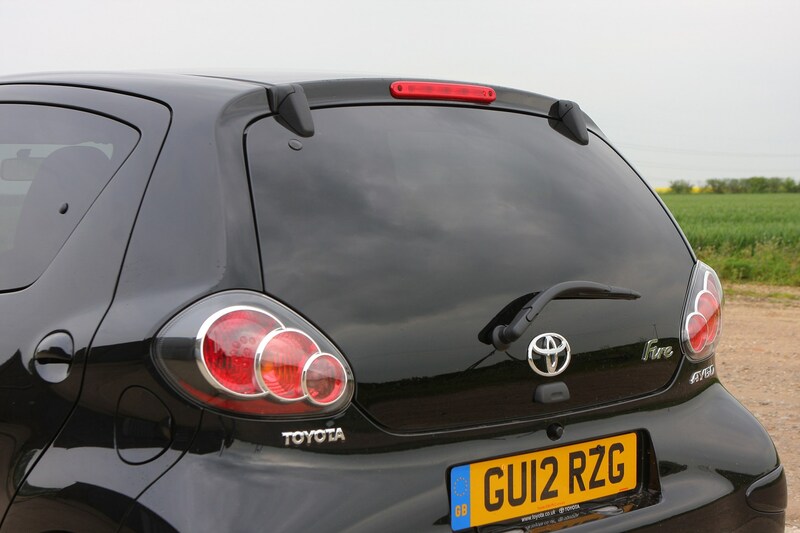 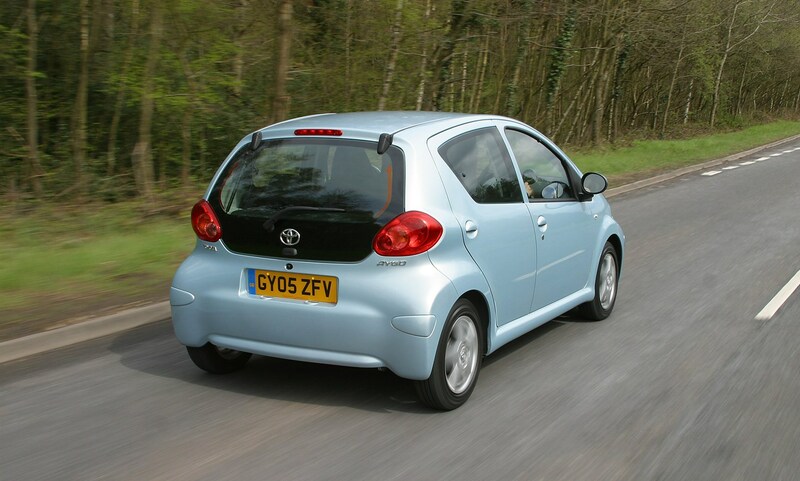 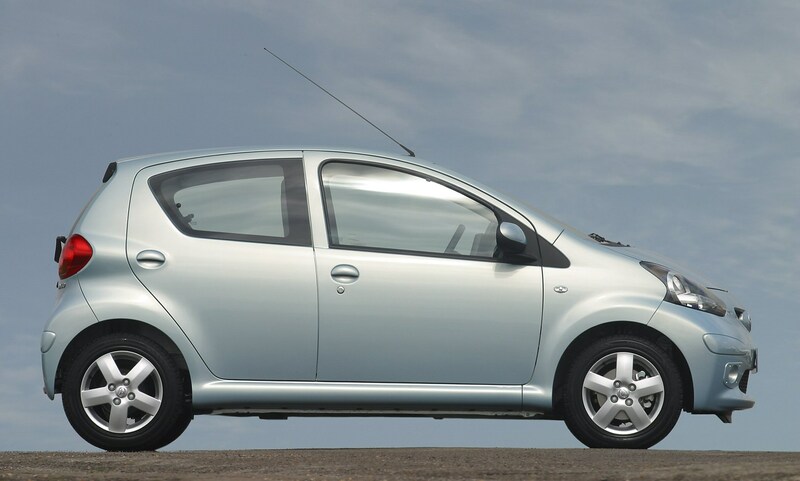 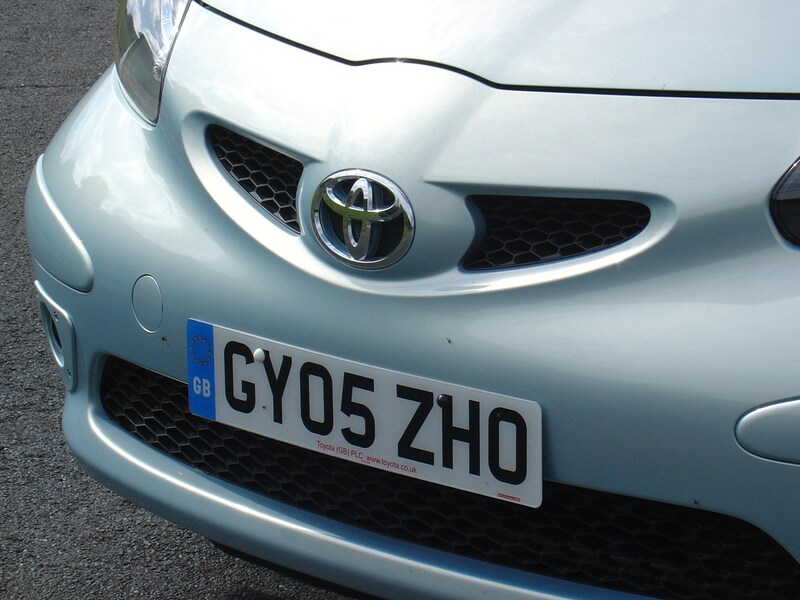 It started out with 67bhp at launch in 2005 and was then revised as part of Toyota’s Optimal Drive programme to deliver the same power but lower emissions of 106g/km versus the earlier unit’s 109g/km. 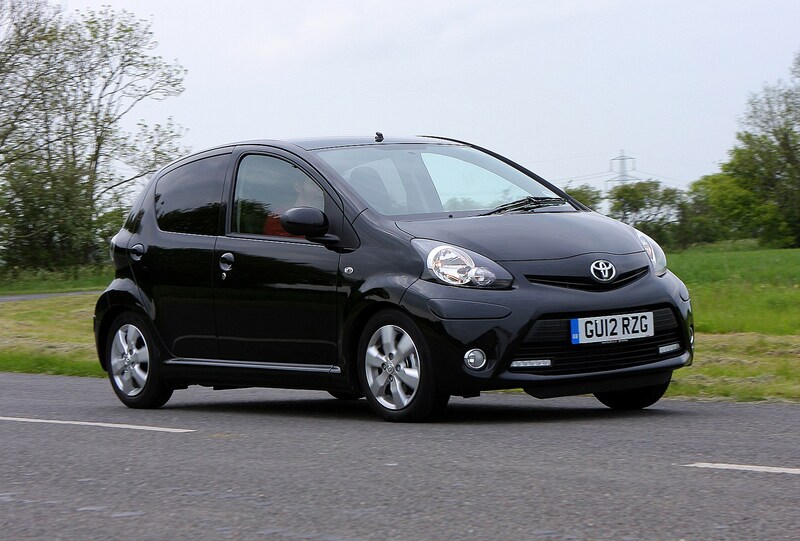 Fuel economy also improved from 61.4mpg to 62.8mpg for the manual gearbox, while the Multimode semi-auto remains the same at 61.4mpg. 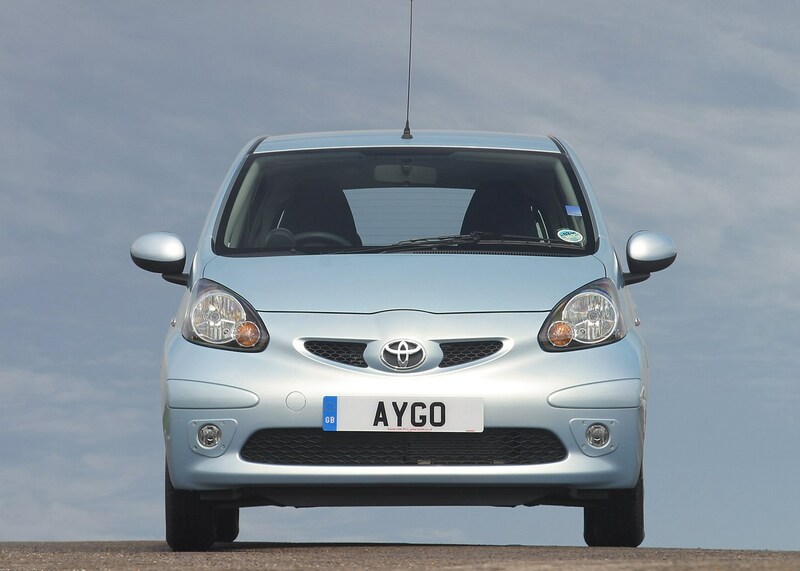 Toyota again revised the Aygo at the beginning of 2012, where fuel consumption improved again for the manual car to 65.7mpg and CO2 emissions now dip below 100g/km at 99g/km. 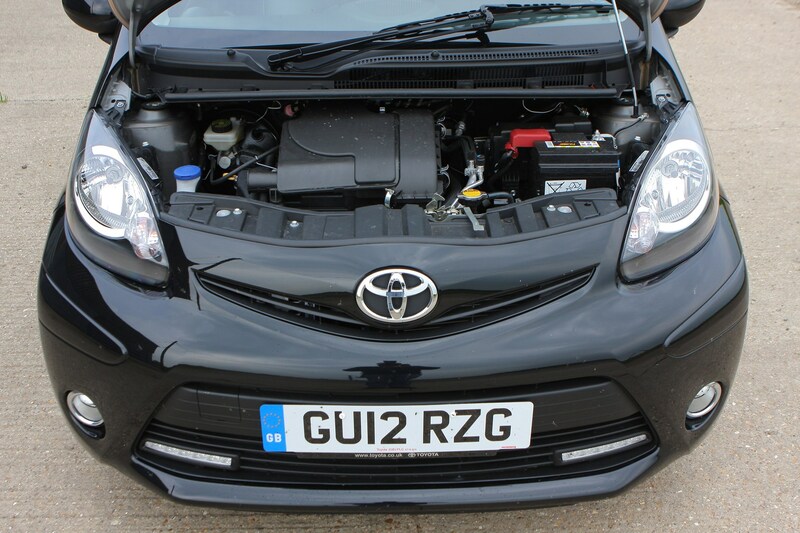 With either gearbox, the willing and rev-happy three-cylinder engine does a good job of propelling the lightweight Aygo in town and on the motorway. 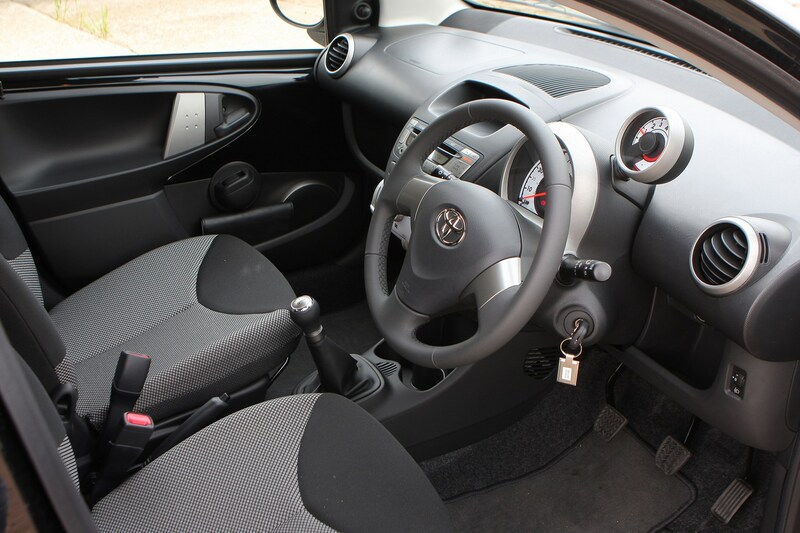 You may not have a choice of engines anymore in the Toyota Aygo, but you can pick between a standard five-speed manual gearbox and a semi-auto five-speeder called Multimode. 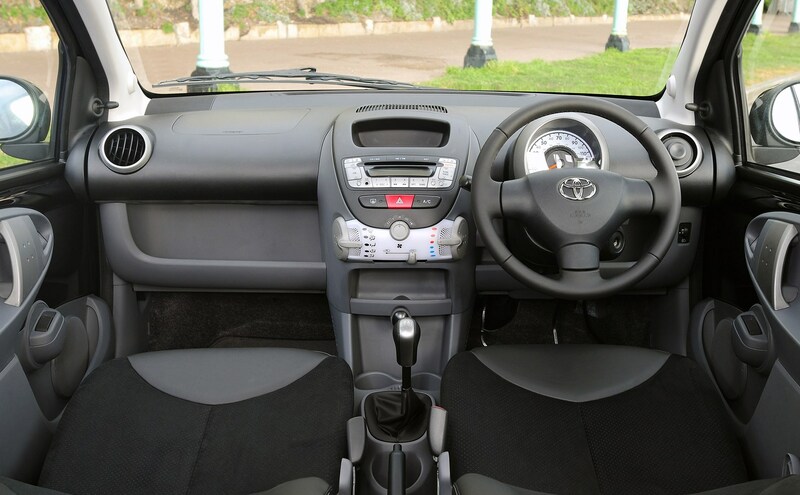 The Multimode ’box does away with the clutch pedal, with clutch operation worked automatically by the car as you select the next gear. 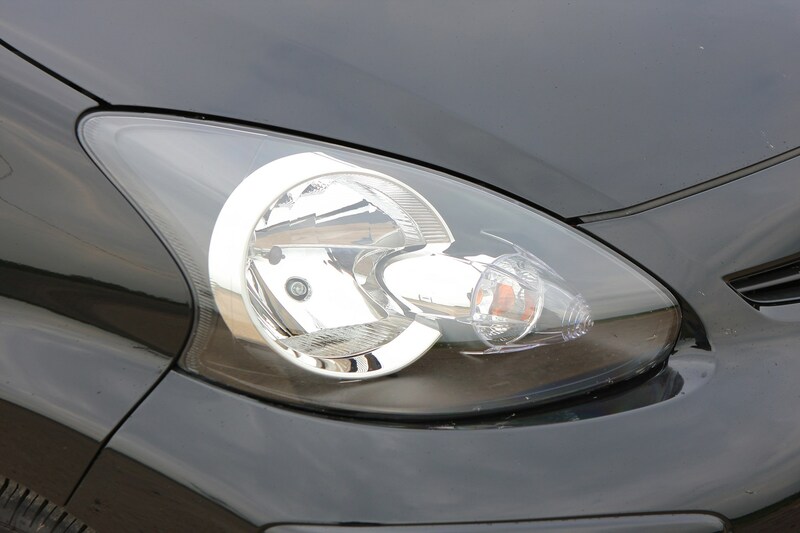 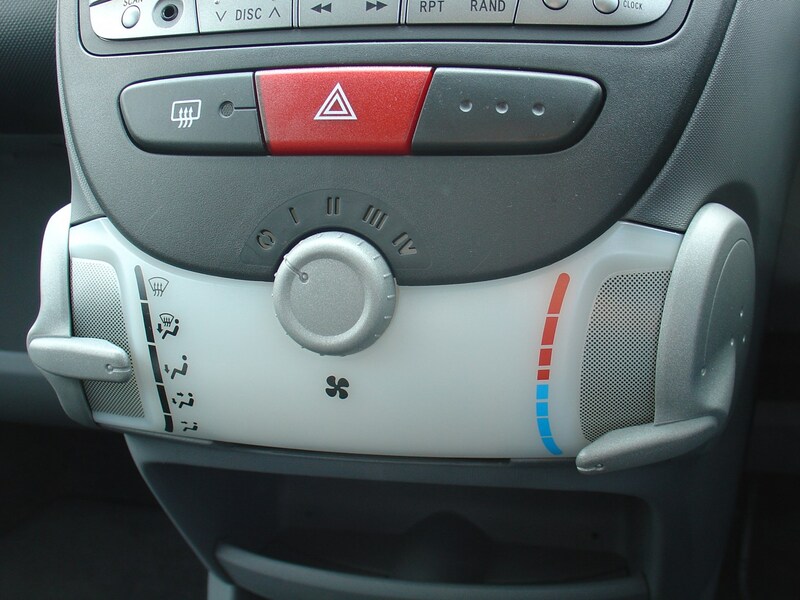 Multimode can be driven as a manual or left in automatic mode, though the changes are not as swift or smooth as in some rivals with automatic gearboxes. 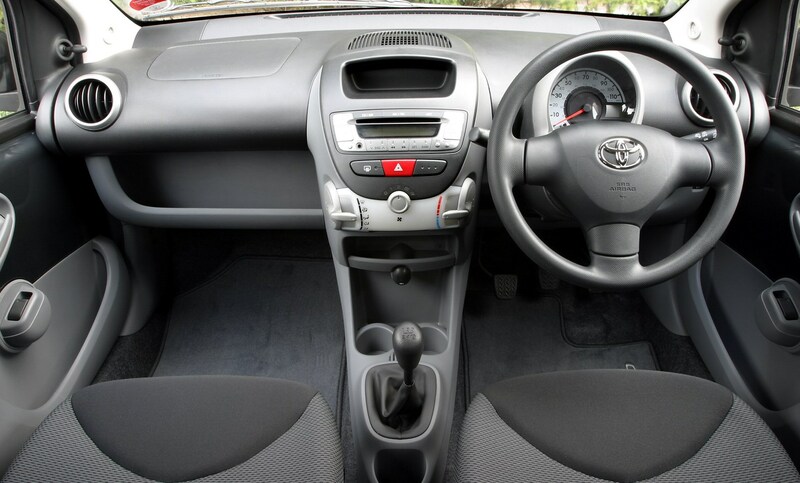 The standard five-speed manual gearbox has a light, accurate shift and the clutch pedal is also light to use, making this a great car for town driving. 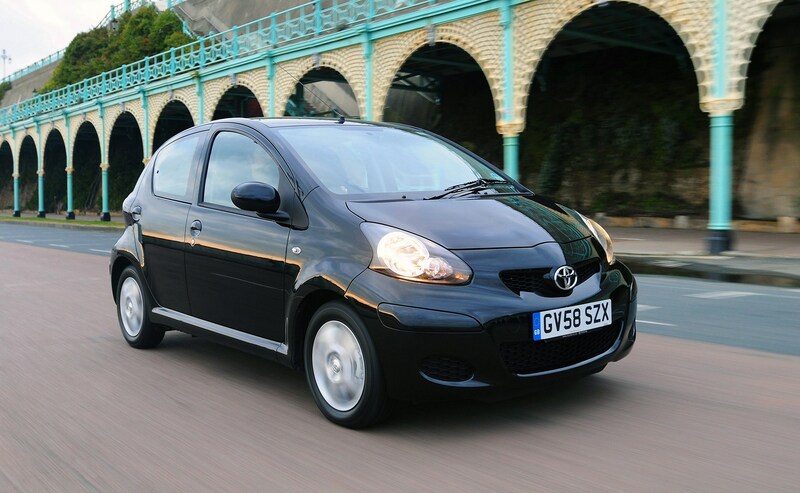 With choice limited to one petrol engine, the decision is between manual and semi-auto gearboxes. 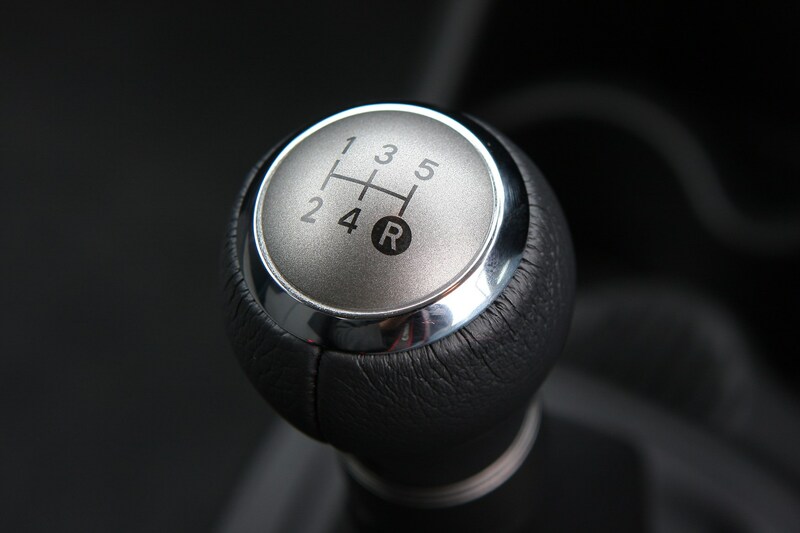 We’d take the manual in preference to the auto unless you must have a self-shifter. 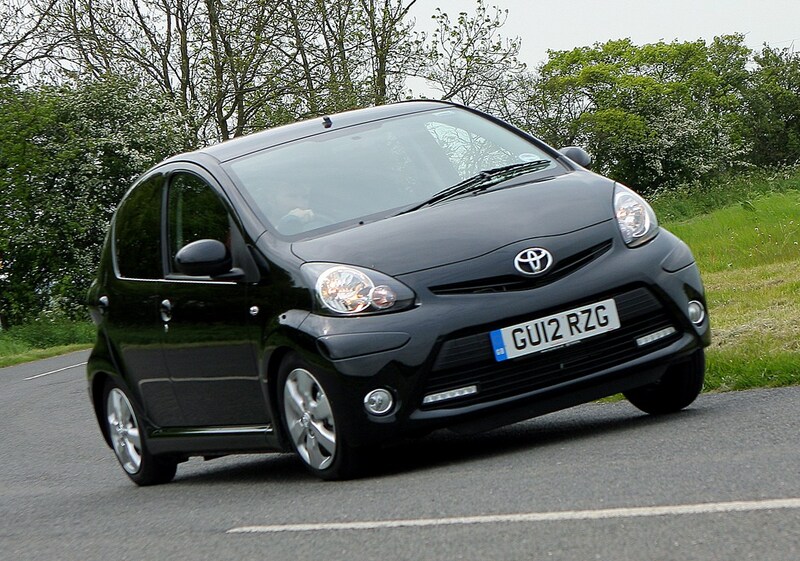 Short overhangs with all four-wheels pushed to the corners, plus the widest stance of any car in its class help the Aygo maintain composure on challenging roads with seemingly little effort. 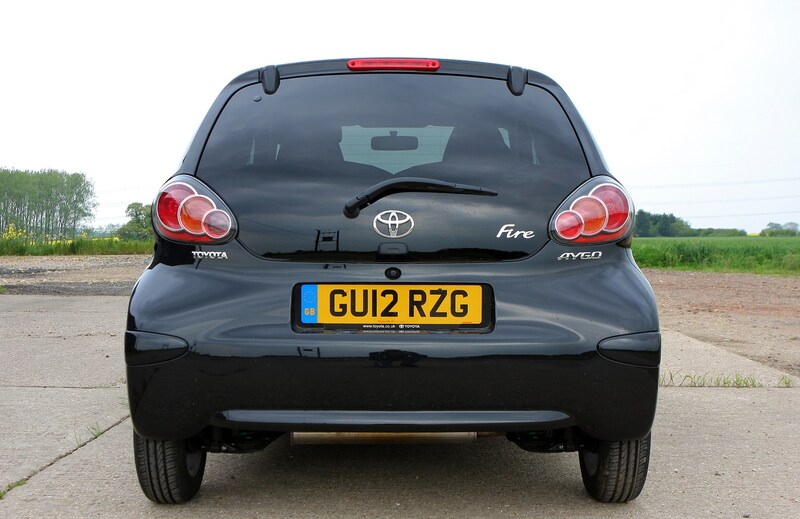 The Aygo will zip around fast bends with minimal body roll and high levels of grip, although the steering can feel rather inert when pressing on - but while it may lack feedback, it's still responsive and precise. 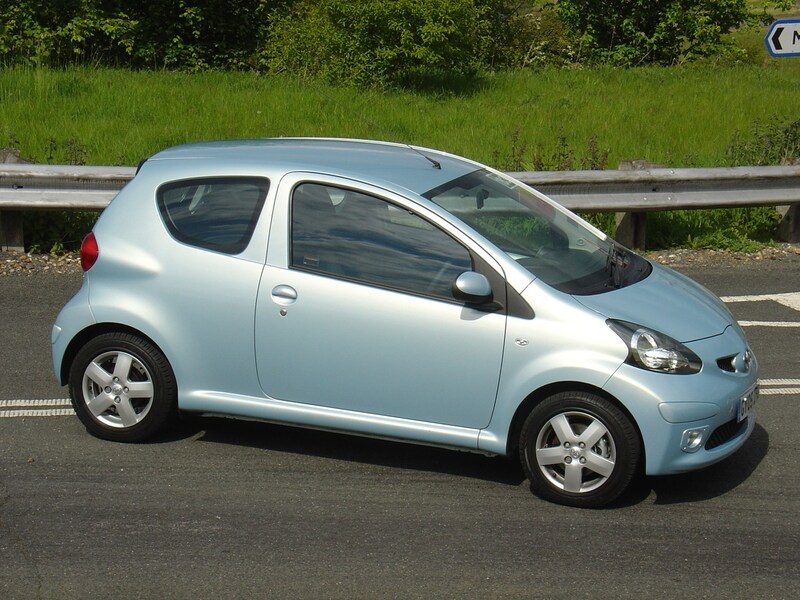 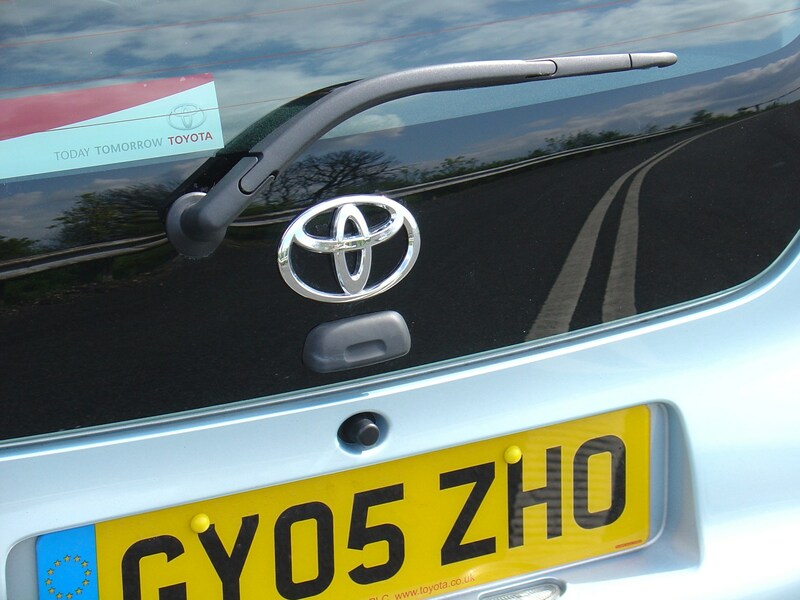 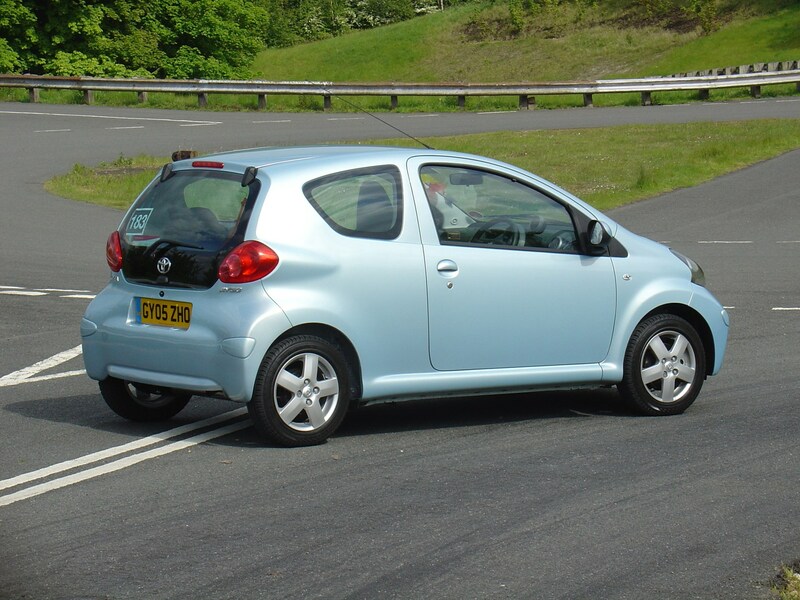 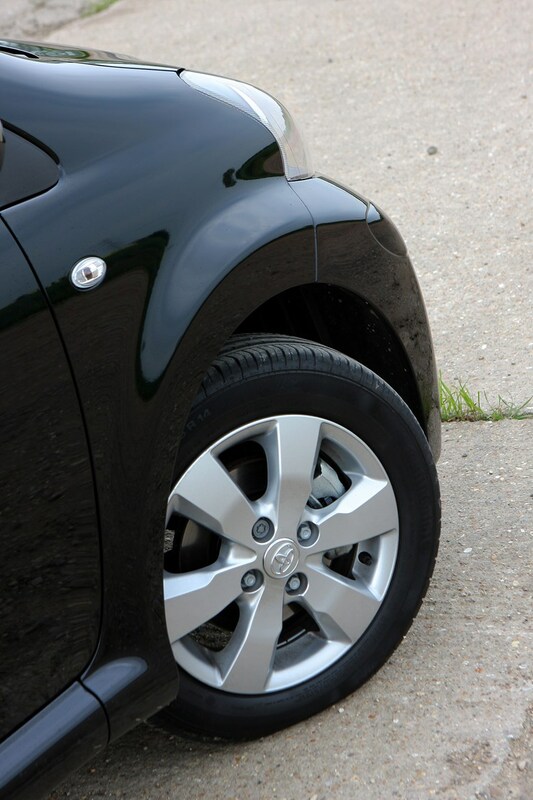 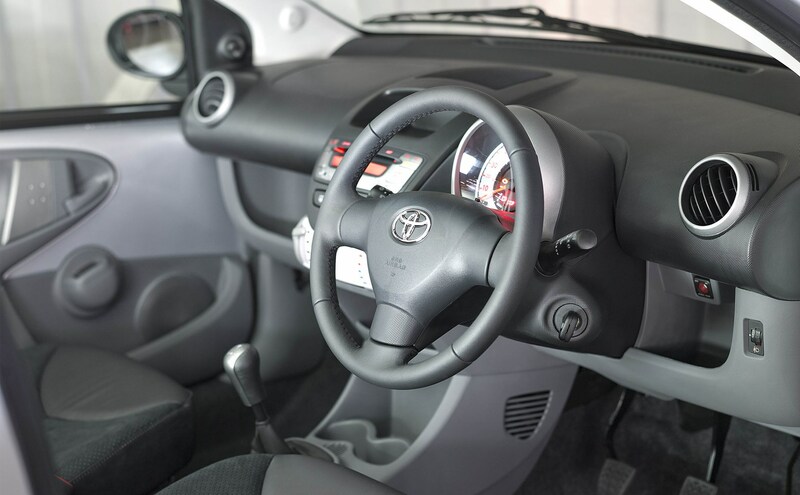 However the little Toyota's natural environment is the town and here the light steering is ideal, making it simple to dart into small spaces and easy to park. 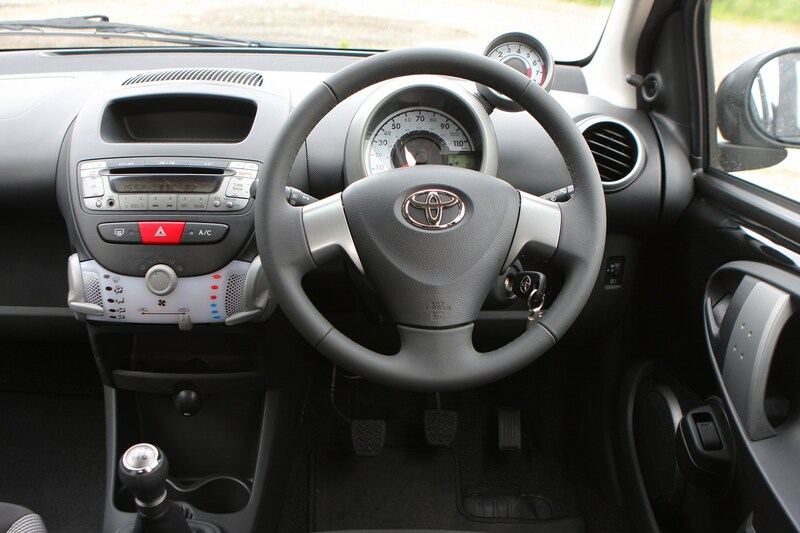 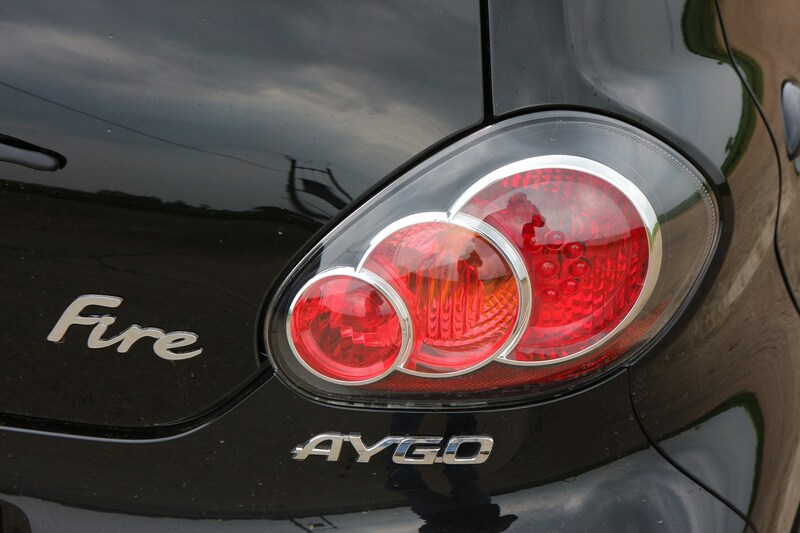 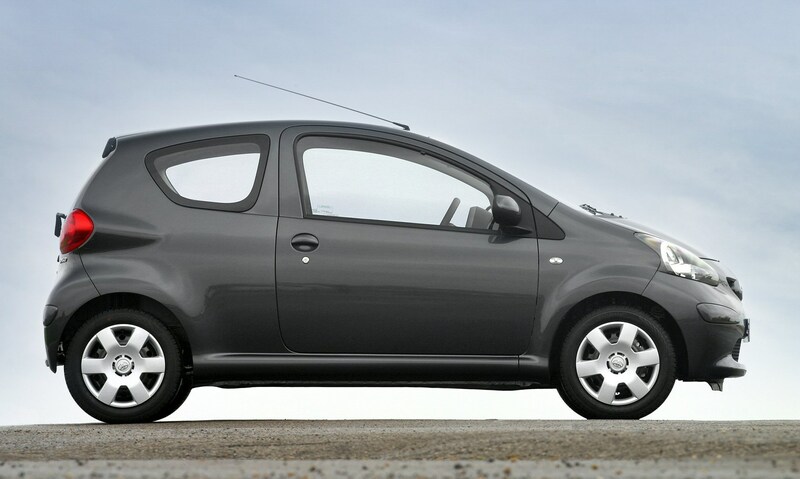 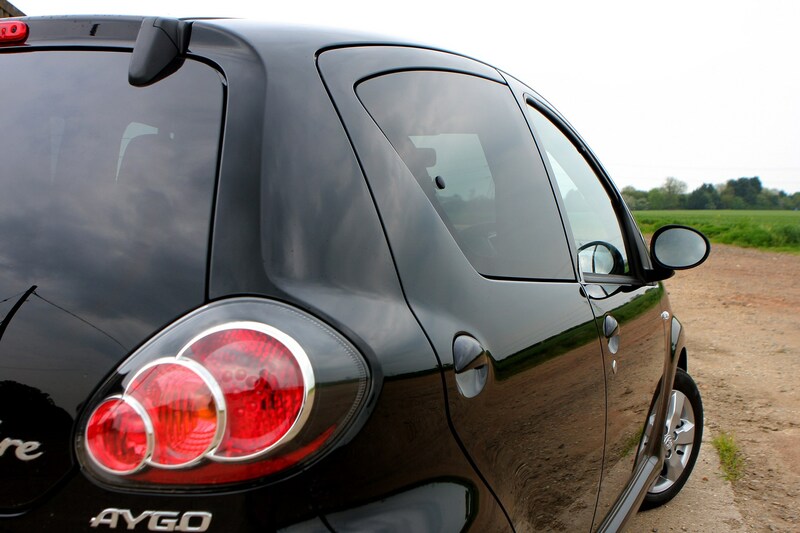 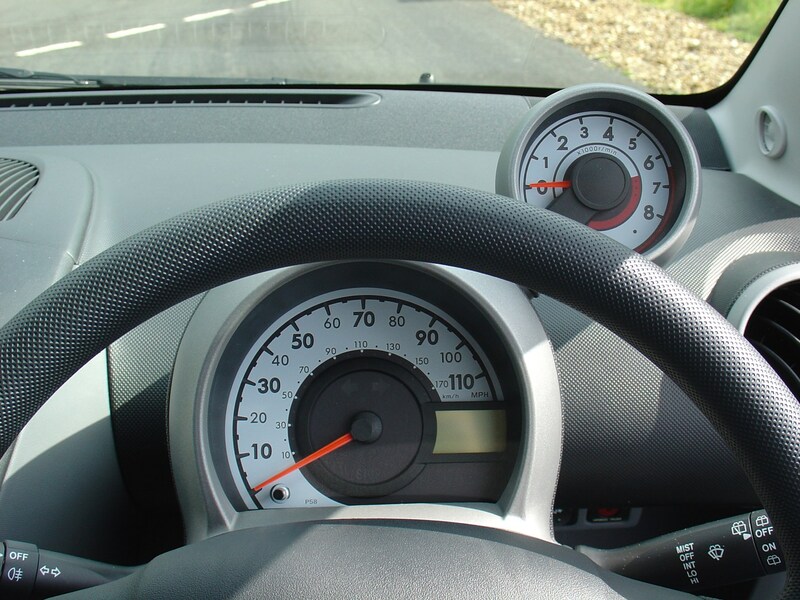 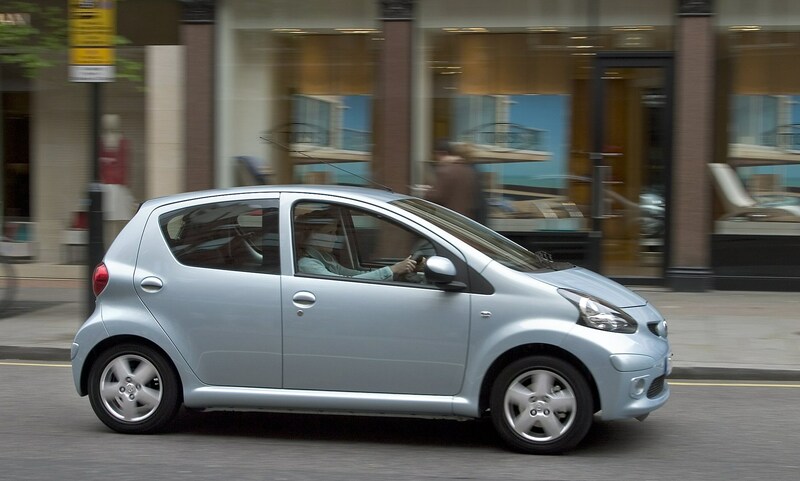 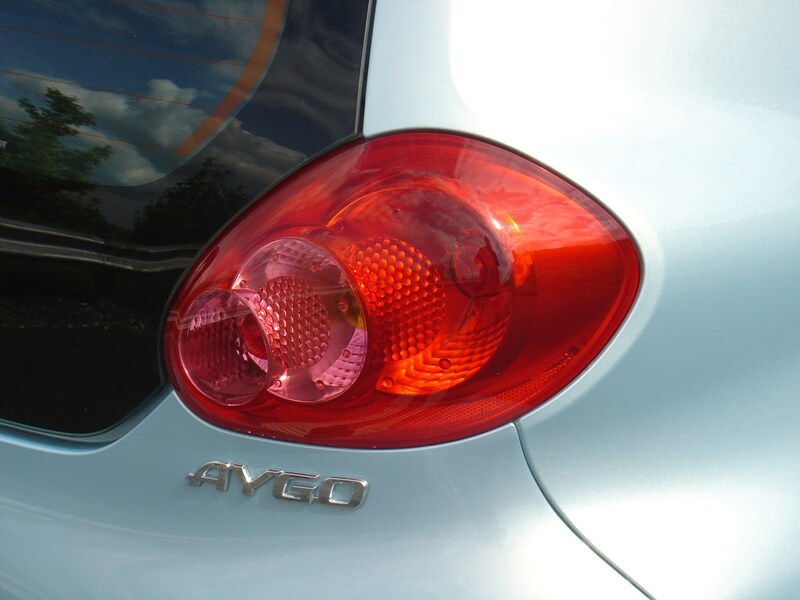 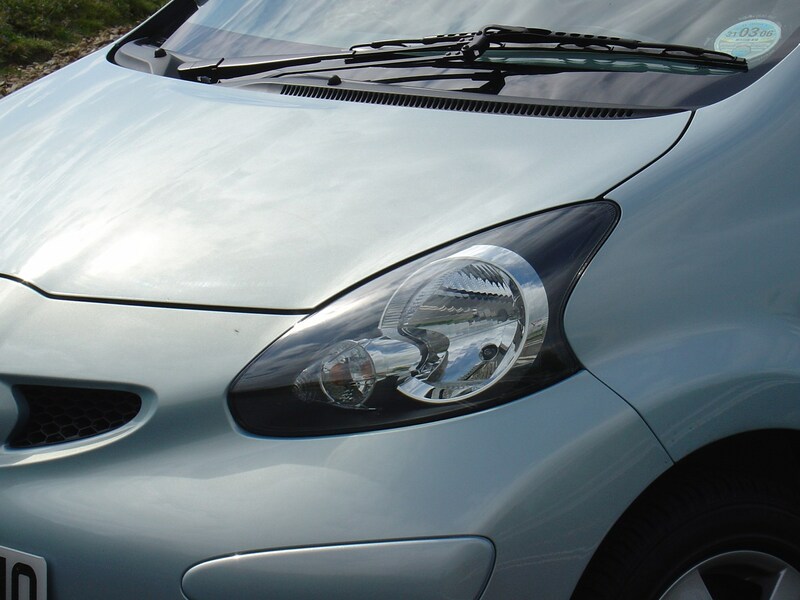 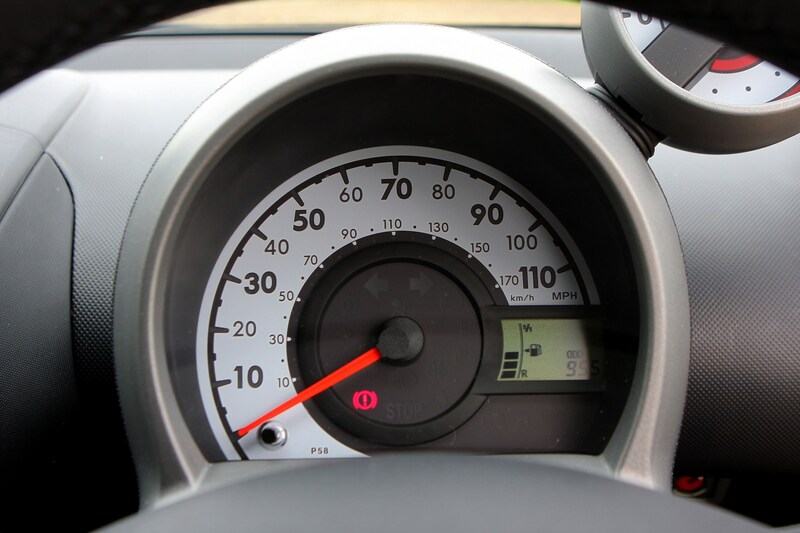 Although the Aygo offers a limited range of seat and steering adjustment, the main instruments are attached to the steering column and visible through the wheel. 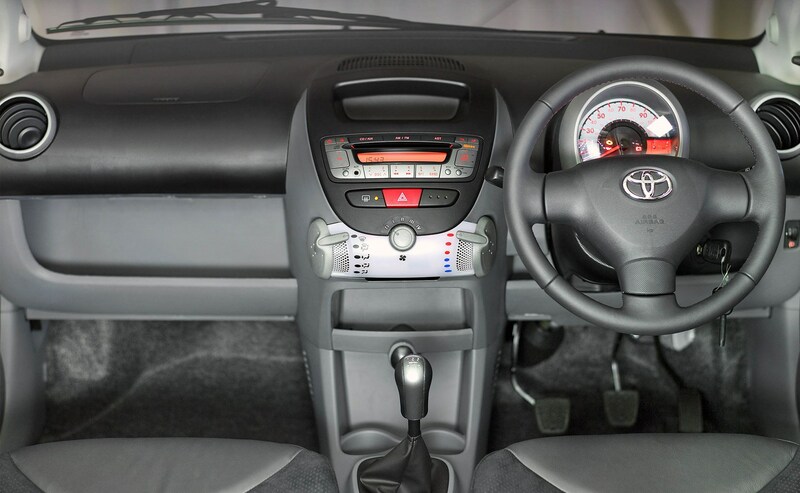 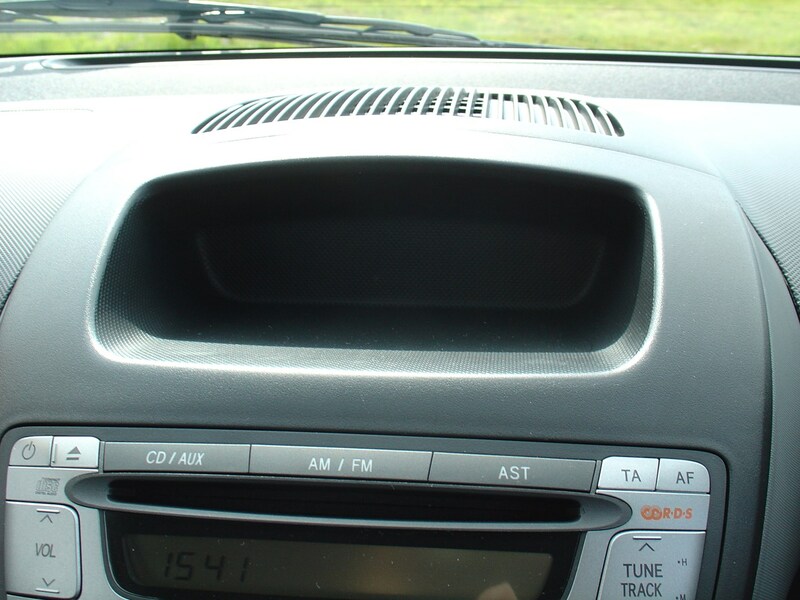 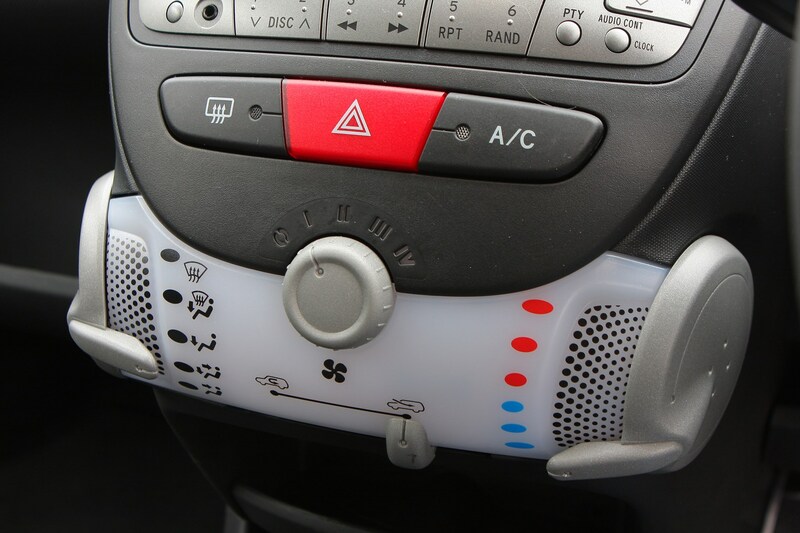 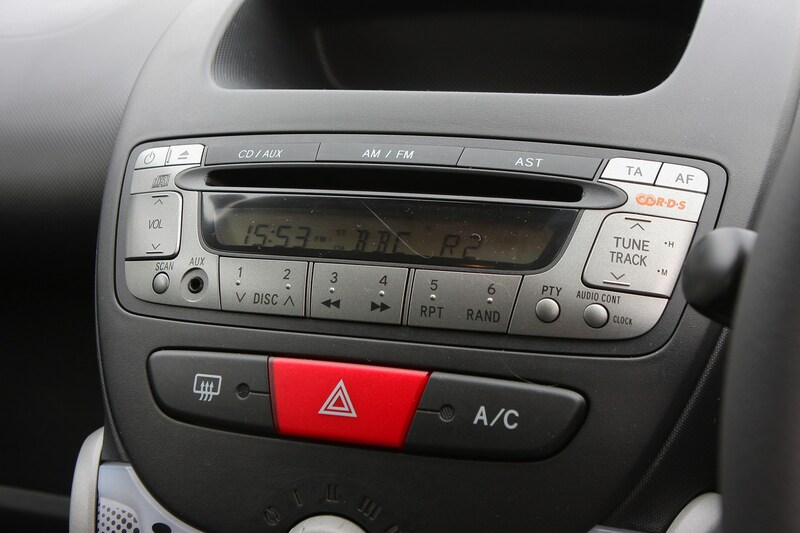 Switches and instruments seem a step up in quality from some cars in the sector, and the prominent centre console with backlit heating and ventilation controls is attractive and stylish. 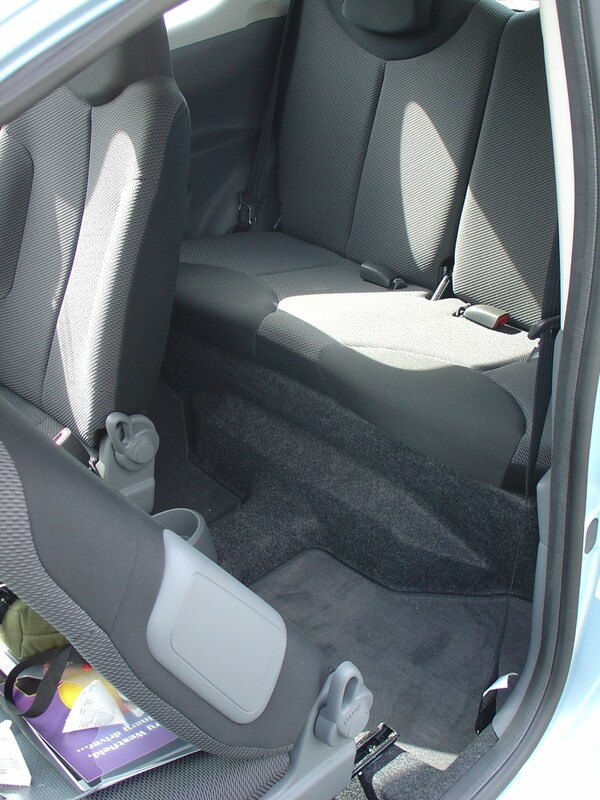 The overall design is neat with good quality materials - but it's best described as basic. 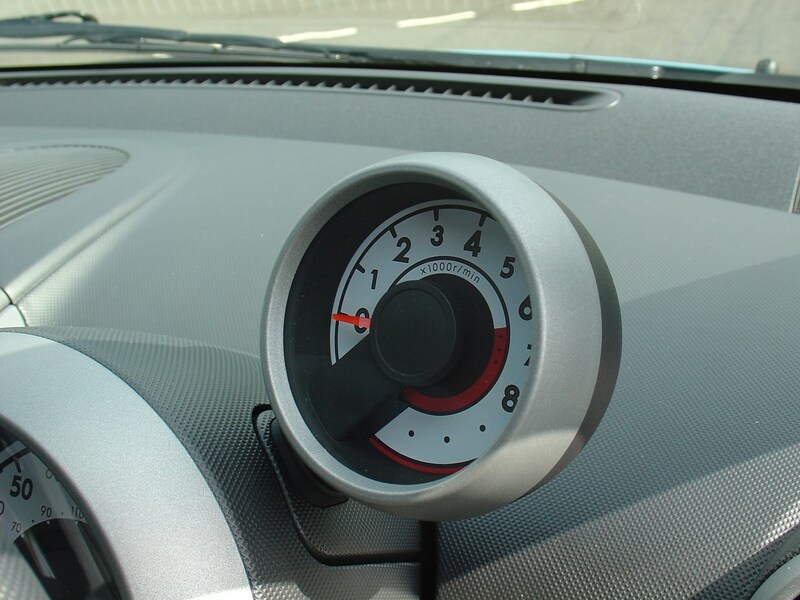 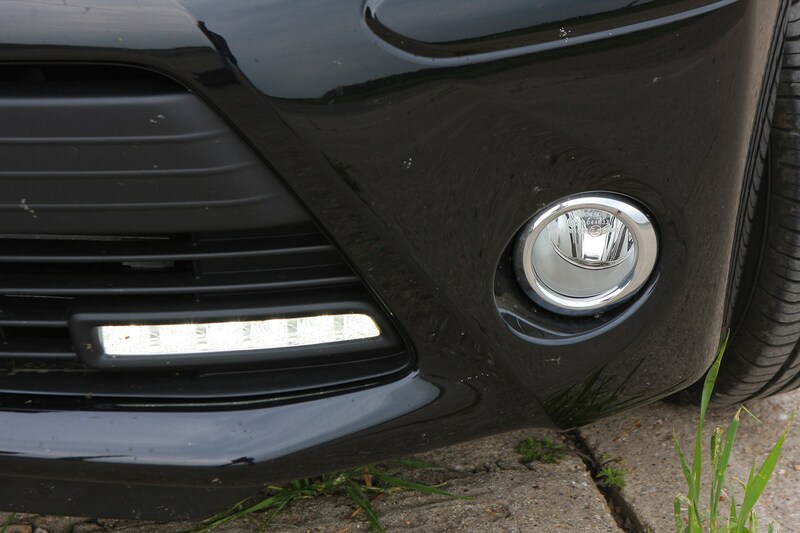 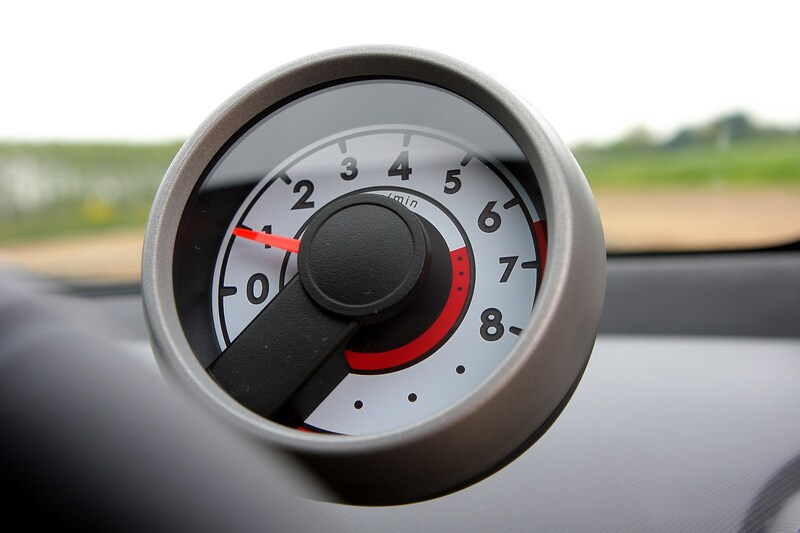 Sport models come with a rev counter pod attached to the speedometer. 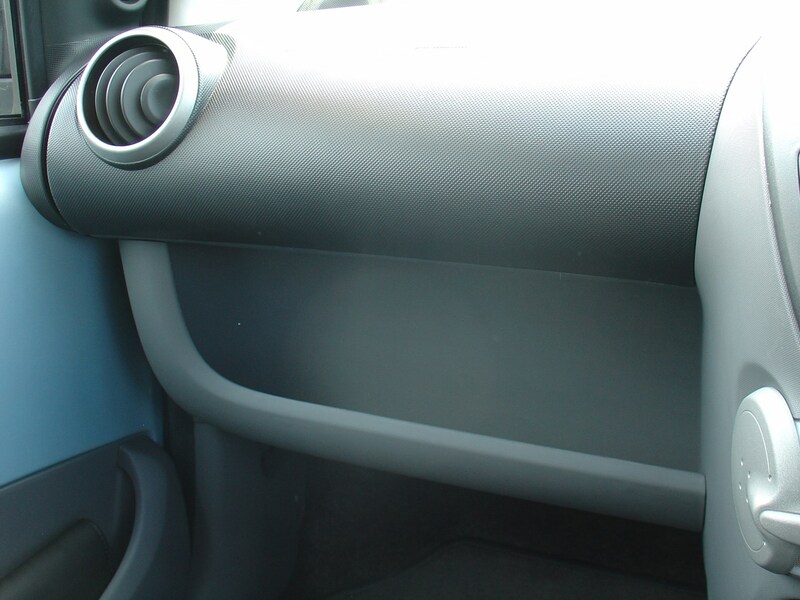 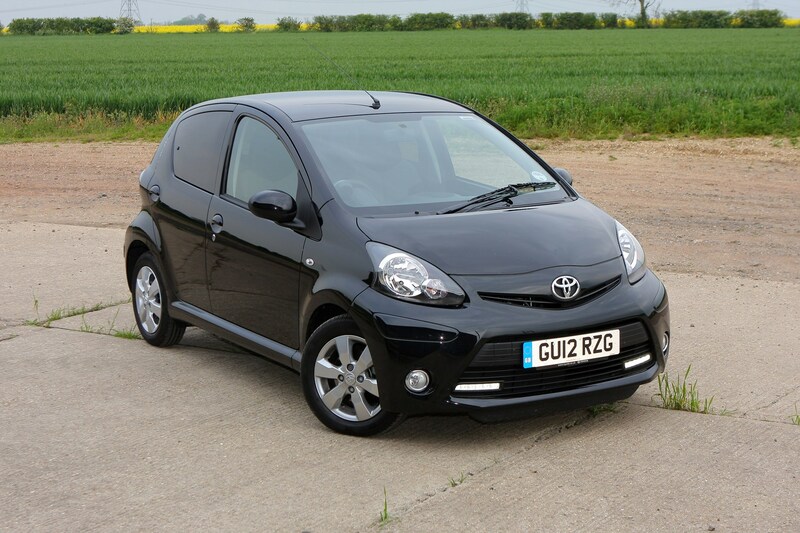 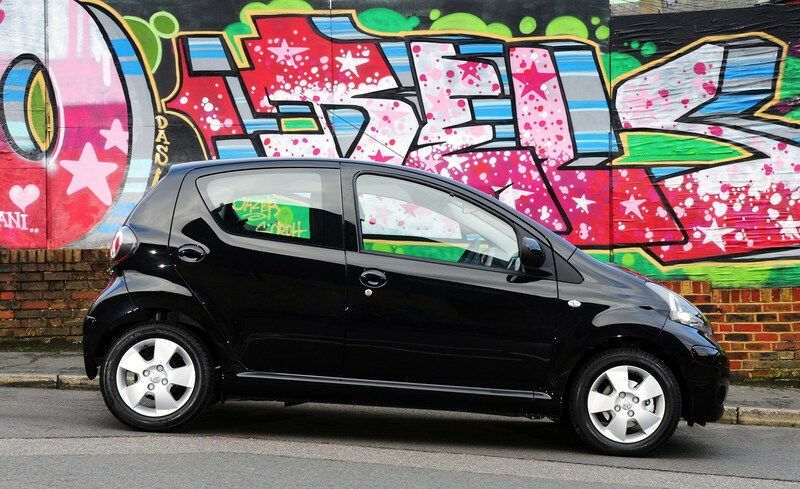 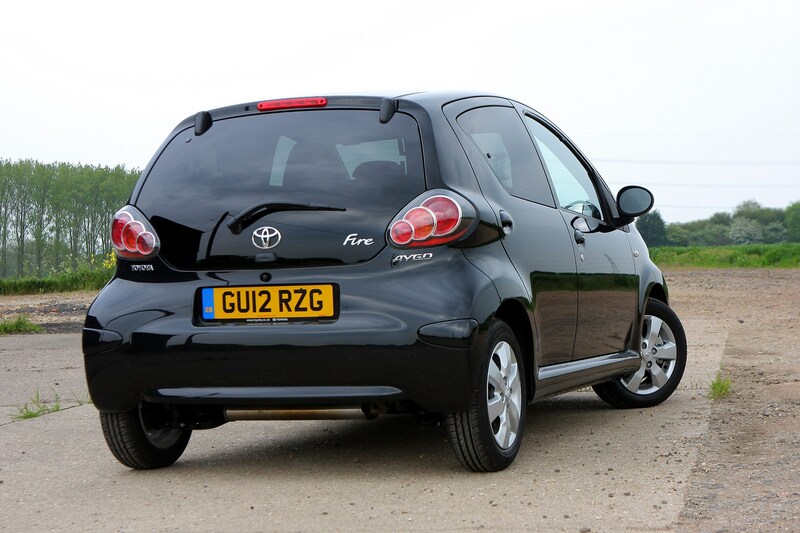 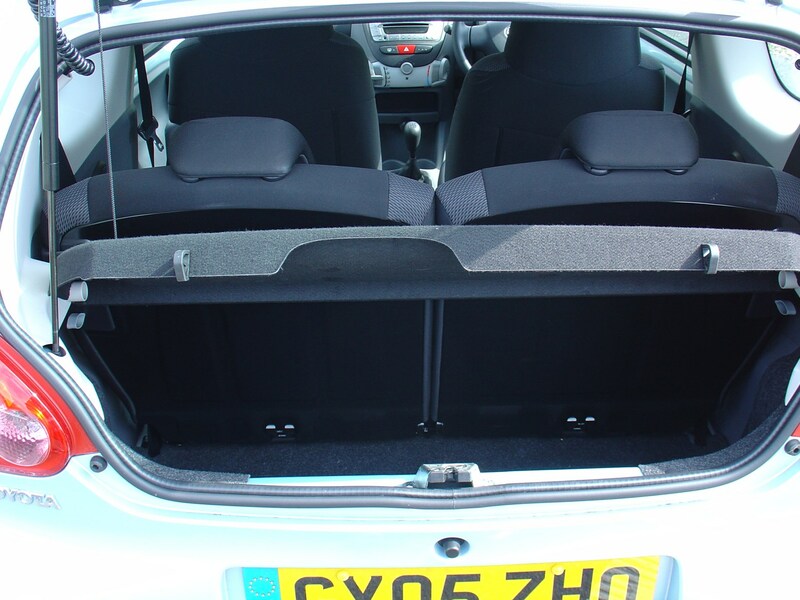 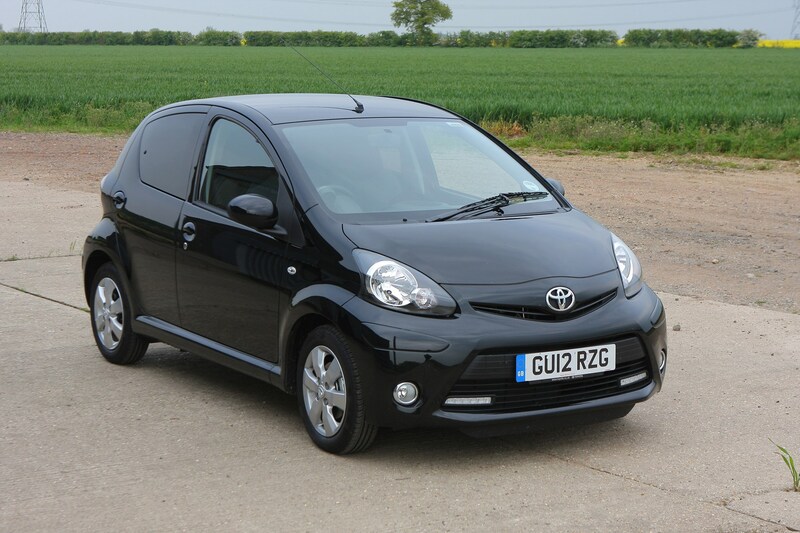 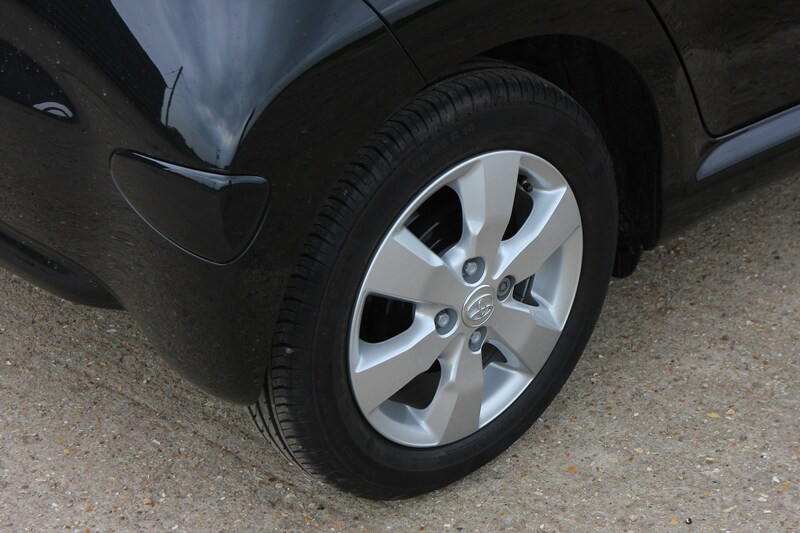 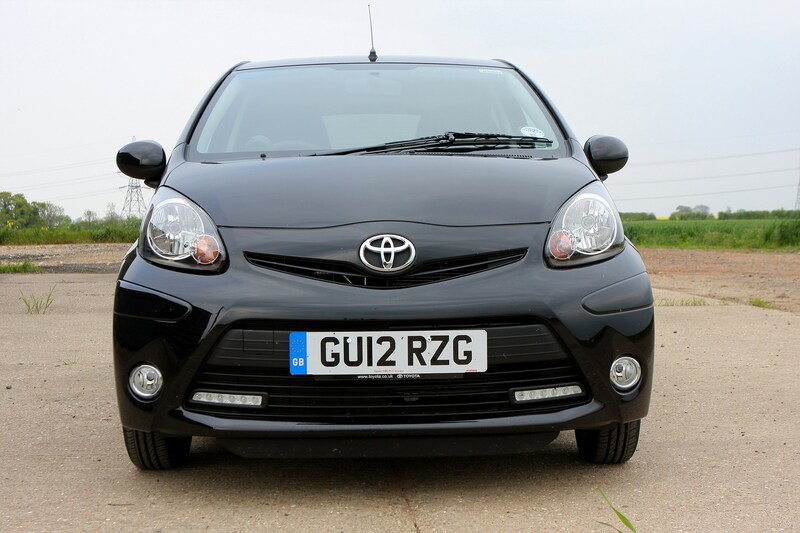 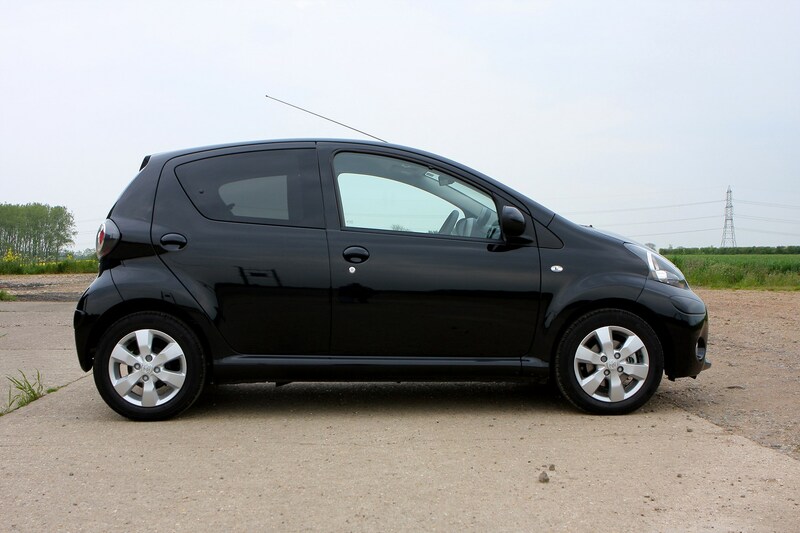 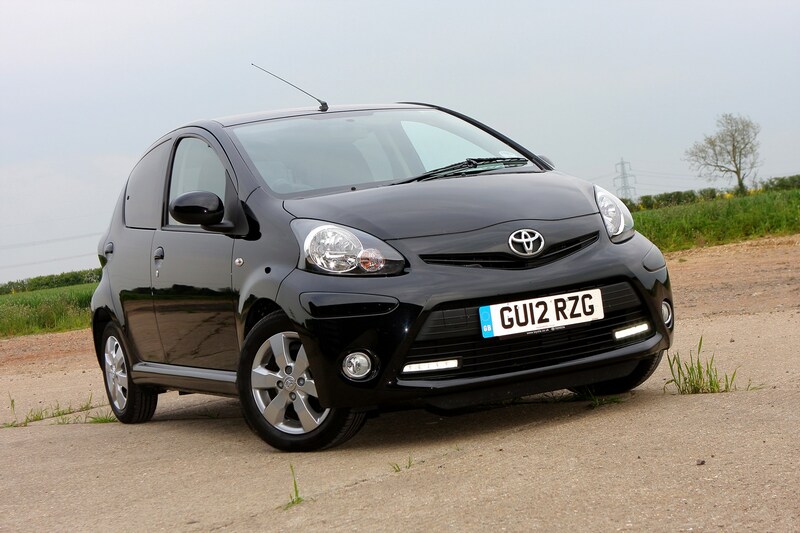 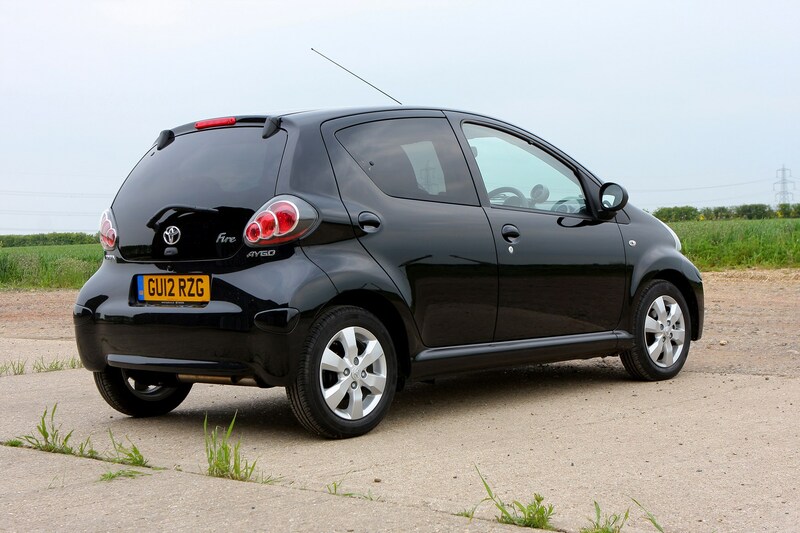 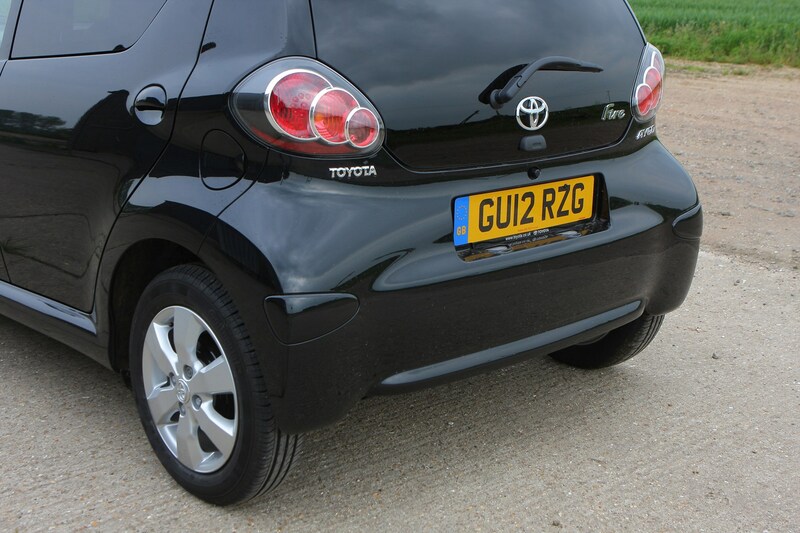 Toyota Aygo comfort levels are fairly good. 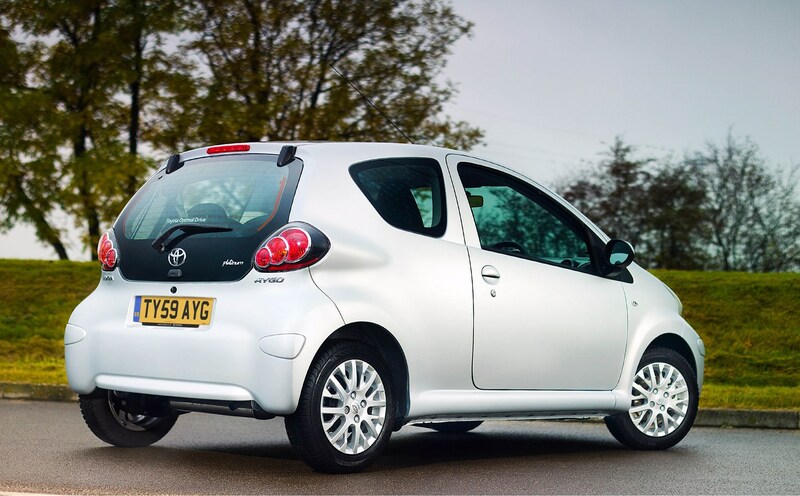 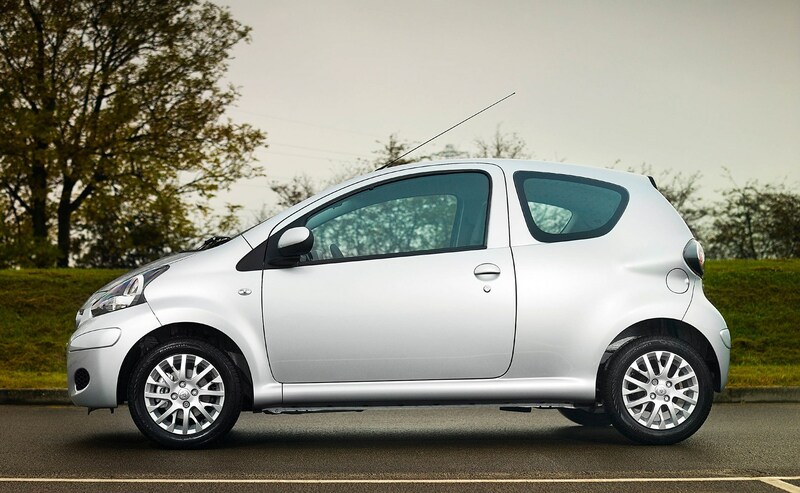 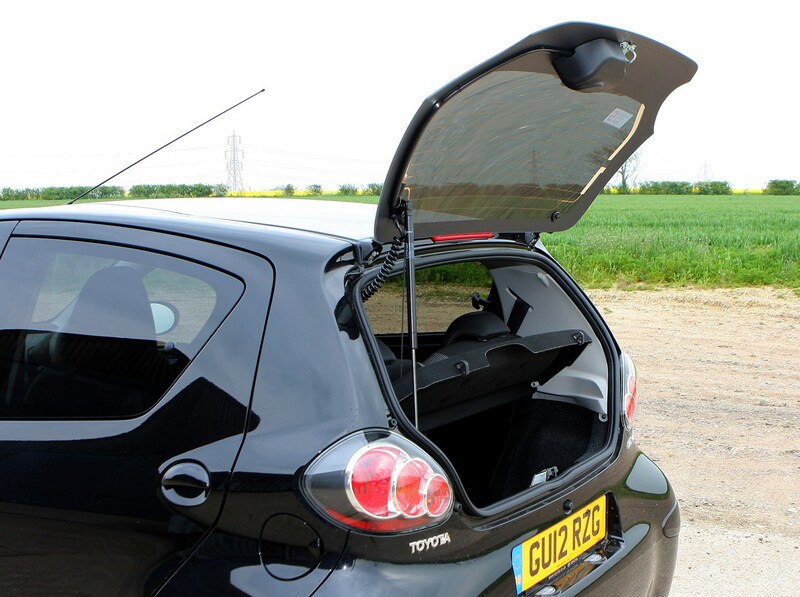 With an airy cabin and room for four adults, the Aygo also has a surprisingly supple ride for a small car and occupants are well protected from bumps on rough surfaces. 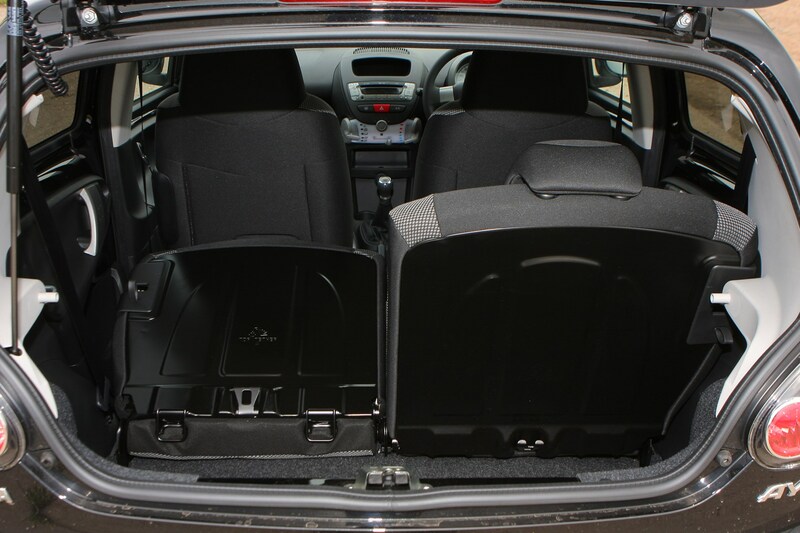 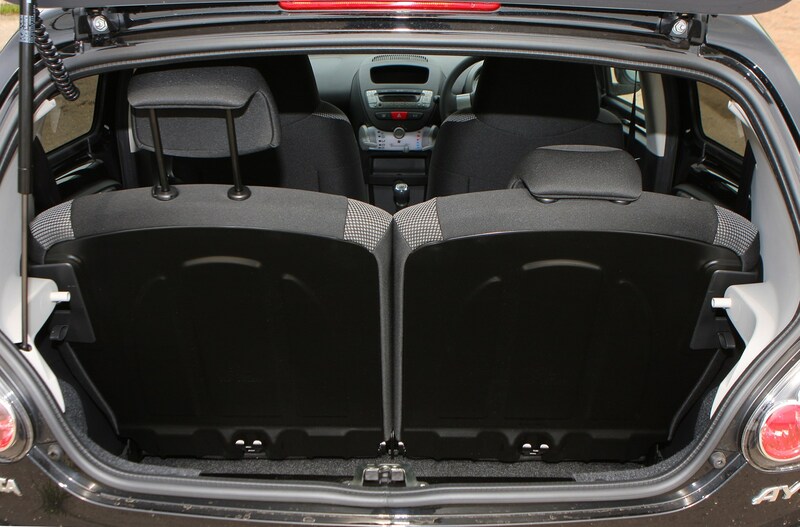 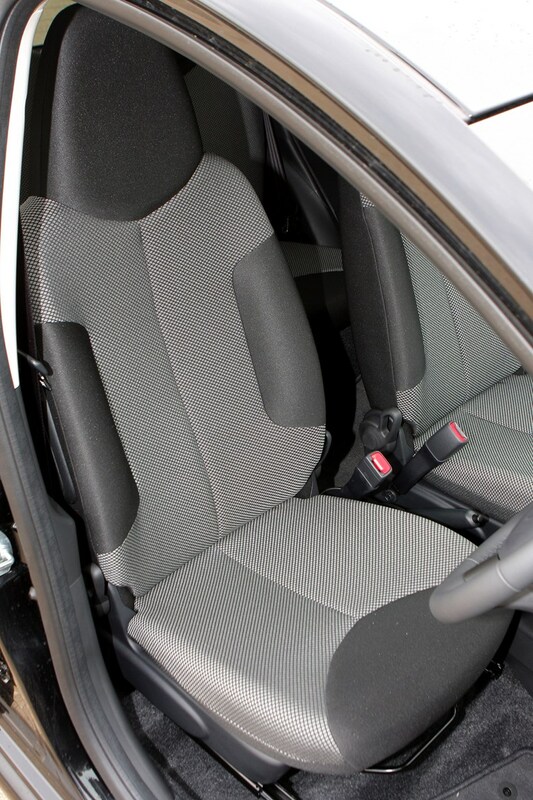 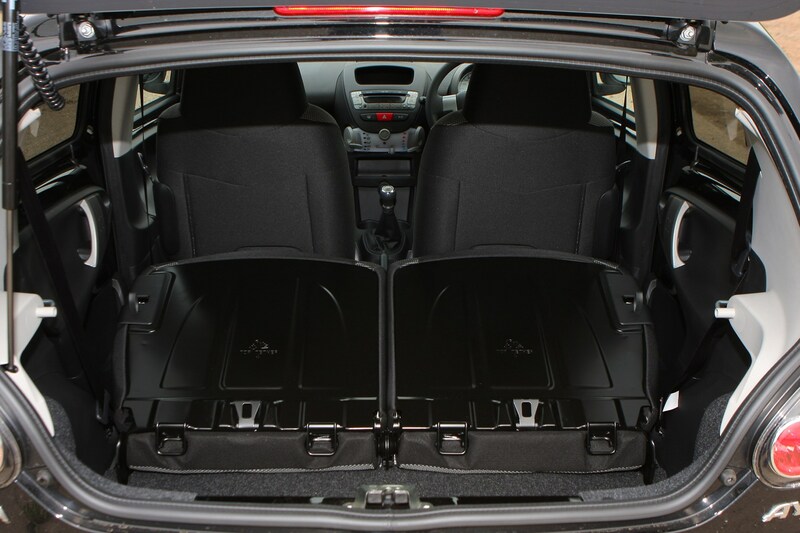 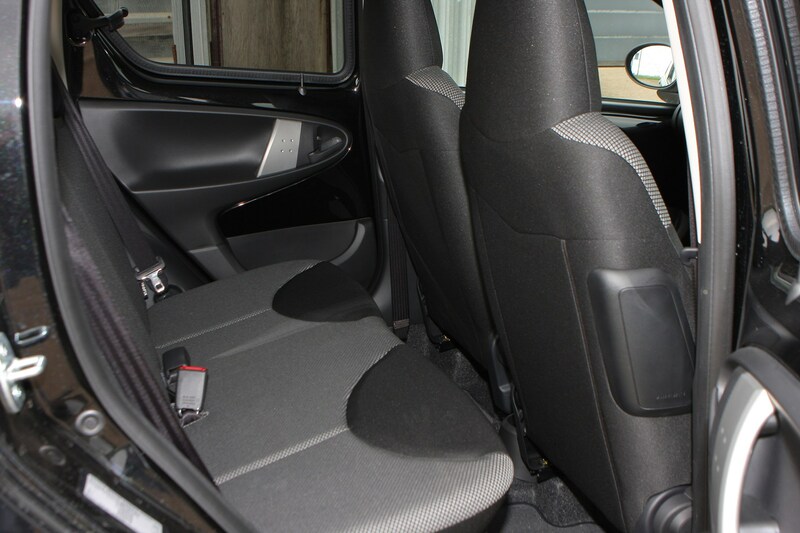 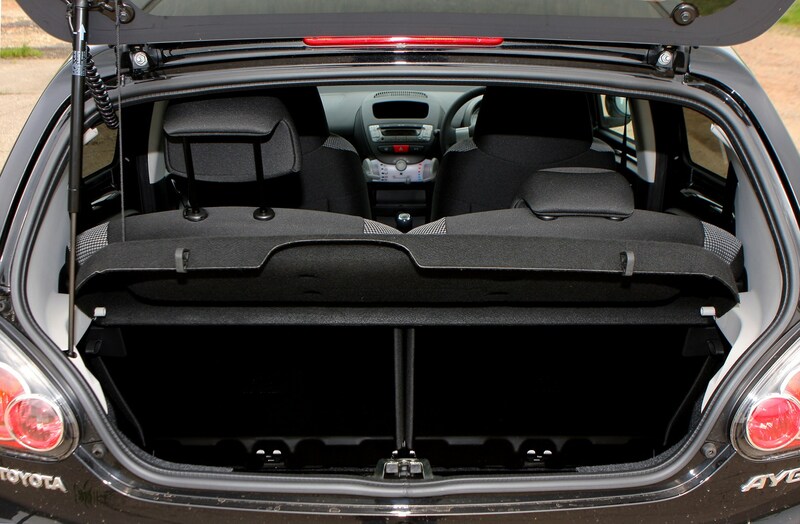 The front seats are quite narrow and flat but are surprisingly comfortable, even on longer journeys. 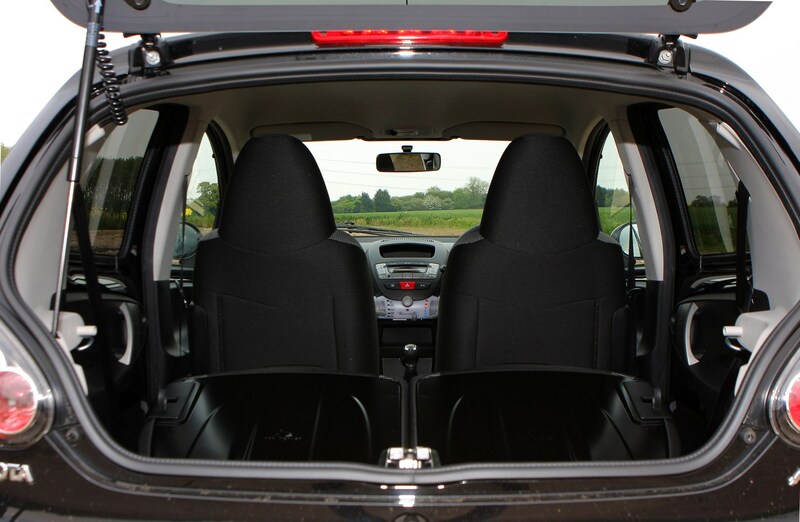 It's possible to fit four adults on board but it can feel a little cramped and performance suffers significantly as a result. 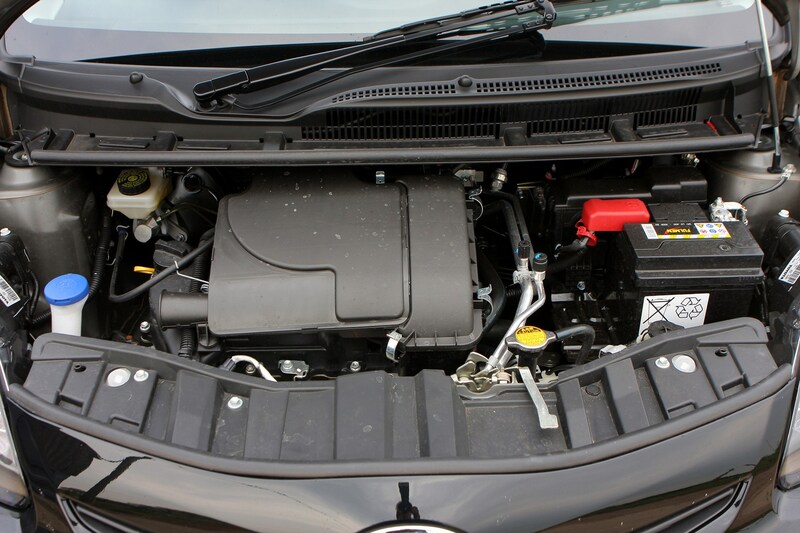 The 1.0-litre petrol engine also has a gruff note at high revs, which can become intrusive.